The alarming increase of trauma amongst our children has led to prioritized focus on preventative measures. 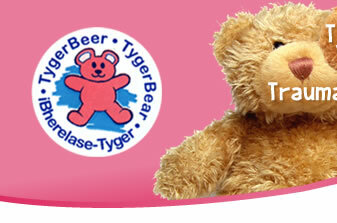 The TygerBear Foundation has indentified a dire need to educate and sensitise and has therefore established the Pink & Blue Child Awareness Campaign. It aims to not only educate the child, but also the family, business sector and society as whole, regarding the rights, needs and responsibilities of children as well as parents and all role players in child caring. Through experience in the treatment of traumatised children, the TygerBear Foundation is convinced that the impact of trauma, both short and long term, is vastly underrated and the time has come for each of us to take action in the prevention thereof. This child friendly environment and service, focuses on giving back the magic of childhood to our children. It is, however, within the reach of each member of the community to make a difference to the life of a traumatized child, and we kindly request you to support the Pink & Blue Child Awareness Campaign. 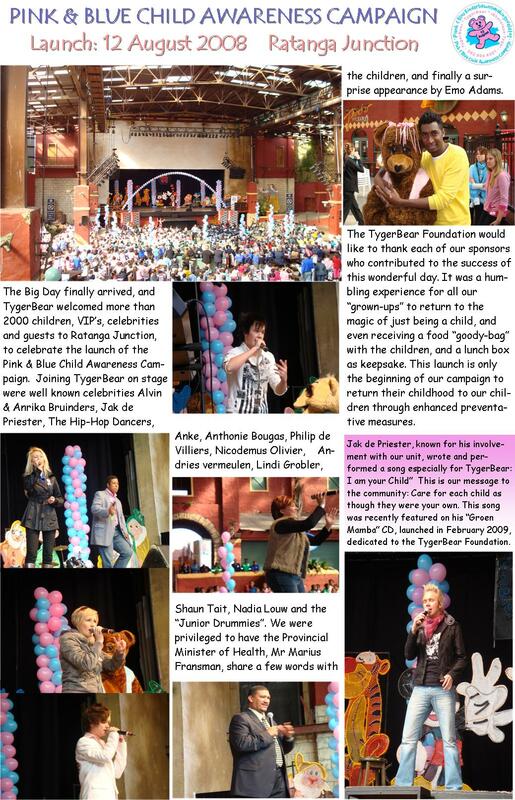 We aim with this campaign and our celebration at Ratanga Junction on the 12th of August each year, to confirm to our children that they are special and deserving of happiness. Our heartfel gratitude to our venue sponsor Ratanga Junction our venue sponsor since 2008!